Shortcake base with caramel filling and chocolate flavour topping. 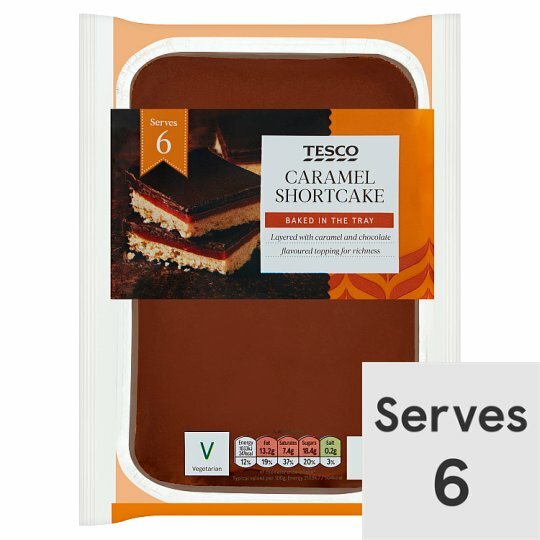 Baked in the Tray Layered with caramel and chocolate flavoured topping for richness. Contains milk, gluten, wheat and soya. For allergens, including cereals containing gluten, see ingredients in bold. Also, may contain peanuts and nuts.